Five hundred years after Martin Luther posted his 95 theses on the door of a church, he is known as the leader of the Reformation. John Calvin was a Protestant reformer whose doctrines gave birth to Calvinism. St. Teresa of Ávila was a Spanish nun who pushed for Carmelite reform and eventually founded and oversaw seventeen convents in her native country. All three have taken their places in history as reformers who changed the direction of their societies, the ripple effects of which are still felt today. On October 30, our History Department will feature their “reincarnations,” as well as that of William Tyndale, in its third annual Debate of the Dead: the Dead Reformers’ Debate. 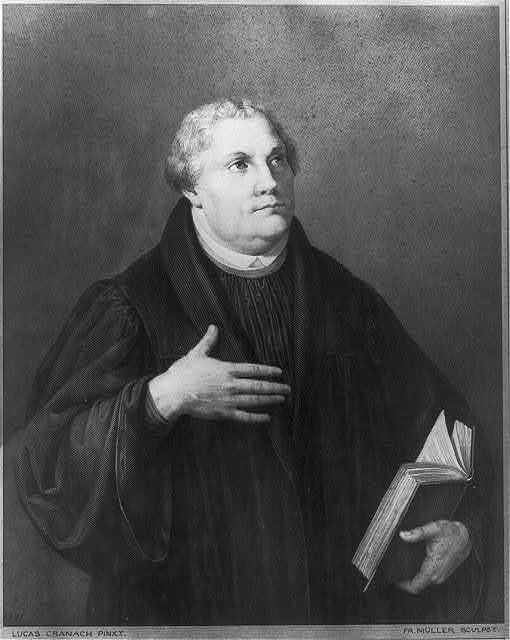 For Martin Luther’s role in the Protestant Reformation, he was dubbed “one of the most influential figures in the history of Christianity” by Britannica Academic. In 1517, he wrote the Ninety-Five Theses, which proposed a debate on certain religious practices. The theses were disseminated throughout Germany, resulting in a massive religious upheaval and reformation. Professor Stratford called him “an obvious choice” for inclusion in the debate. William Tyndale was an English scholar who, in 1525, completed an English language translation of the New Testament. He was executed before he could finish translating the Old Testament. John Calvin was highly esteemed by the puritans of his time, who brought his teachings with them to America. St. Teresa of Ávila was the author of many spiritual works in the late 1500’s. She was elevated to the position of Doctor of the Church and considered to be a powerful Roman Catholic mystic. She pushed for Carmelite reform and eventually founded and oversaw seventeen convents in her native country. The previous debates—the Dead Presidents and the Dead Queens—focused on modern political and gender issues respectively. In the former, which took place prior to the 2016 presidential election, Presidents Jackson, Eisenhower, Roosevelt, and Lincoln debated Trump’s and Clinton’s stances regarding foreign and immigration policies, what their strengths were, and whether or not Trump was justified in having hurt feelings. The Dead Reformers’ Debate will be held on October 30th in the Varsity Theater at 4pm. Photo credits: Martin Luther, St. Teresa of Ávila, William Tyndale, and John Calvin.